Kirby Star Allies Couldn't Be Saved By Cuteness | Nerd Much? I never thought I’d be the one to write this article about Kirby Star Allies, as I’ve always been a defender against any and all Kirby slander. To me, each entry in this series offers a unique angle on this round boy and, in true Nintendo fashion, helps keep the franchise fresh. The main criticism of Kirby is that it’s “too easy” and to those folks, I always say, “so what?” It’s true; if you can pick up a controller you can reach the end credits with little resistance. But I don’t need all my games to be hard. In fact, the relaxed gameplay is something I really enjoy about this series. Sure, playing as this pink puffball is more of a leisurely hike than a mountain climb but sometimes it’s just nice to be outside. Kirbs never requires you to exert much effort but the games still demand your attention. And when you add in the novelty of the transformations Kirby offers the relaxed, fresh adorable gameplay we’ve come to know and love from Kirby. When the Kirby Star Allies demo dropped the haters came out and came out quick. “Dull,” they said. “Way too easy,” they said. I could see where they were coming from but I didn’t feel that way. Instead, I saw the potential and, honestly, I’d enjoyed what I’d played. What’s not to love? Kirby, good. Friends, good. But as I combined powers, solved simple environmental puzzles, and journeyed alongside my brother (and 2 CPUs) something terrible happened: I had seen all the game had to offer and it wasn’t much. Worst of all, there were still two worlds to go. How Long To Beat has Kirby Star Allies at around 5-8 hours. Yet it somehow overstays its welcome; I have to admit the truth. 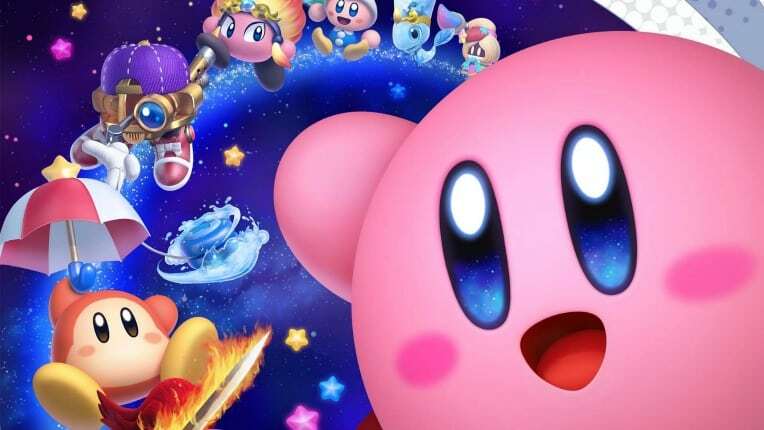 Kirby Star Allies failed the cardinal rule of video games: I wasn’t having fun. I wasn’t engrossed. I wasn’t compelled to keep going. And there isn’t enough cuteness in the world to change that. But on that front, damn, did Kirby Star Allies try. 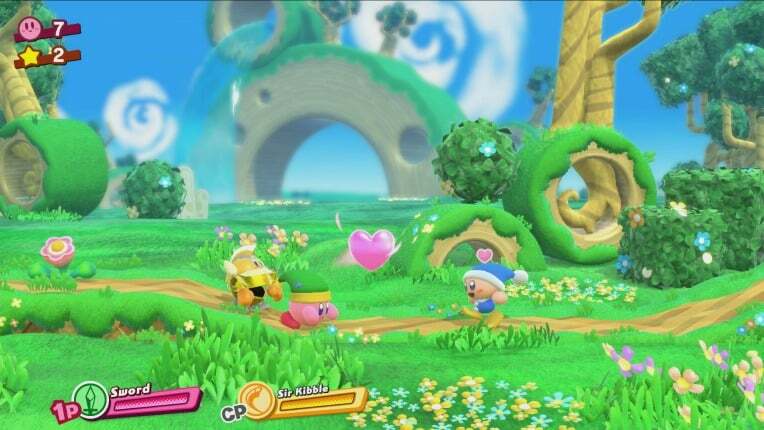 Wow, Kirby Star Allies is a cute game. Perhaps the cutest of the franchise. Kirby is an inherently adorable character but this entry takes that to new levels: the likes of which we’ve never seen before. The main game mechanic centers on the fact that you are traveling with 3 friends (via CPUs or local co-op) at all times. To recruit new characters into your party you throw a heart at enemies as if to say “love me, damn it!” and they do because why wouldn’t they, you’re a beautiful balloon. Previous foes become friends as you find yourself plowing through obstacles with King Dedede, Waddle Dee, and Meta Knight to name a few. When you, or others in your party, get injured you can replenish your HP by consuming food. If you pick up food and don’t need this HP, but others in your party do, you pass this health along my kissing them. 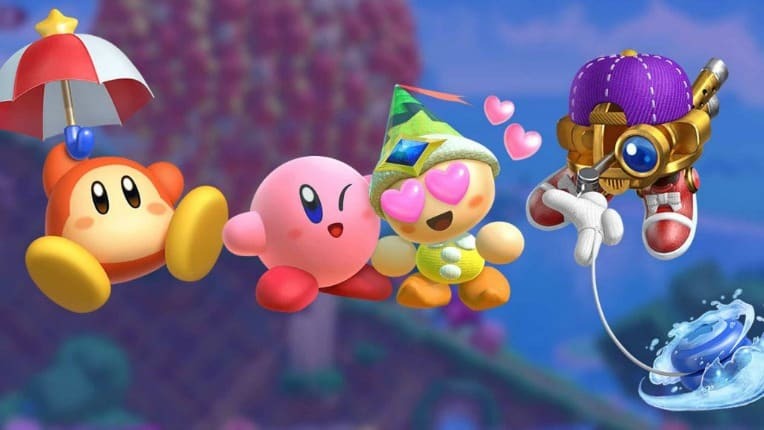 Yes, smooches have healing properties in Kirby Star Allies. I never would’ve guessed that they ability for Kirby to kiss allies was exactly what this franchise needed to bring back but that’s why I’m not a game developer. 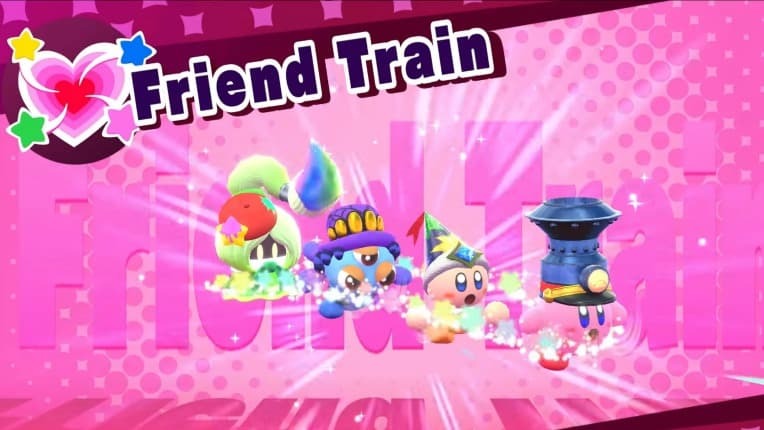 Even the attacks are charming in Kirby Star Allies, from the simple act of combining abilities (look at what friendship can do ya’ll) to the more grandiose move sets like creating a friend train and literally plowing through enemies. But all silliness aside I truly believe cuteness can add value to a game. Certainly, there are gamers who find that displeasing but these aesthetics add to the lightheartedness of easy games and cushion the blow of difficult ones. 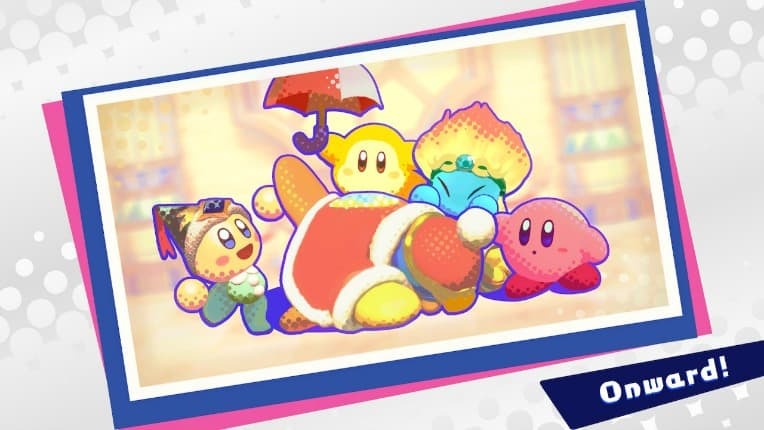 From Kirby games to the recent brutality of Celeste, cuteness counts. But cuteness alone can’t carry the game. Many players called this problem as soon as the demo dropped but having given Kirby Star Allies a fair shot I can confirm that this game doesn’t give you enough to do. While the CPUs are intelligent enough to help you with environmental puzzles (for example a CPU with fire ability will take the initiative to melt that ice block for you) their initiative comes at a steep price. Often times, the CPUs in your party rob you of the opportunity to engage in combat or add different members into your party. There have been plenty of times where I wanted to throw a heart at an enemy, and have them replace a current party member, but before I could do that a CPU had already secured the kill. Thanks, I guess. I suppose this problem could be solved by having more real-life players but needing a squad of 4 people is a tall order, especially when only local co-op is an option. And while Kirby Star Allies is easy enough to go it alone the game forces you to have this large group. 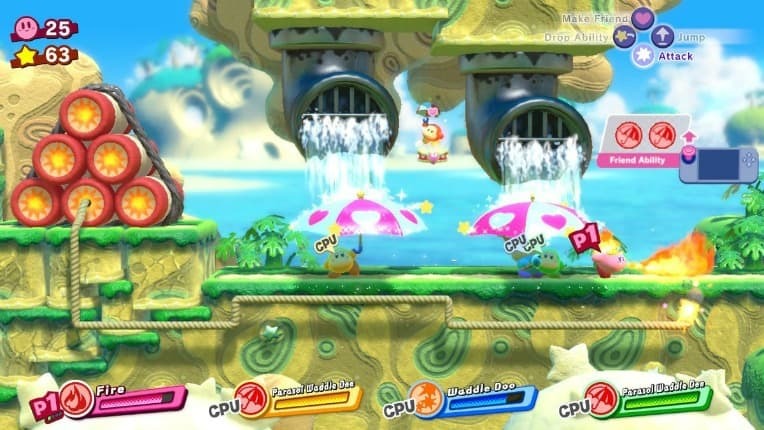 All the puzzles in Kirby Star Allies are straightforward tasks that involve utilizing a specific transformation. For instance, you might use your umbrella to shield a wick from a waterfall while another party member lights it on fire. Occasionally there are multiple solutions to a challenge: ex. instead of stopping the waterfall with an umbrella you can freeze the water. But for the most part, solving any puzzle is just a matter of having the “right” transformation(s) at your disposal. Initially, I thought this would be fun but the novelty wears off quickly. After a while, I just wanted to pick the transformations I wanted, rather than the ones the game was nudging me towards. And while those puzzles are often just a bonus along the way going for those extras is one of the few ways to feel like you’re engaging with the game at all. Occasionally, Kirby Star Allies also falls into my least favorite multiplayer trope: giving player 1 all the power and player 2 nothing. The levels where you’re riding on a star can be a fun easy shoot em up moment but only player 1 is doing anything. Literally, all the other players can’t do anything. 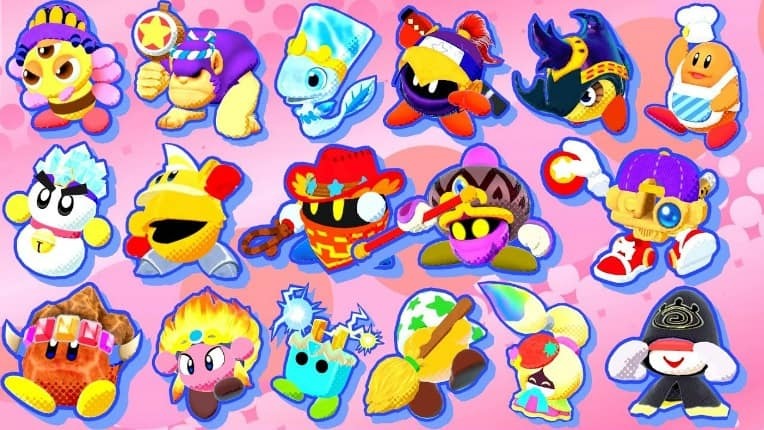 But worst of all, everything in Kirby Star Allies plays the same. No worlds, levels, or bosses stand out as particularly memorable. This feels like the same adventure over and over again with some environment and backdrop changes. Kirby Star Allies may be a short campaign but already I’m checking my progress and hoping it’ll come to an end soon. At the risk of sounding patronizing, I do think Kirby Star Allies is a great game to co-op with a kid, especially one that struggles to progress but wants to play. Even more skilled children might find Kirby Star Allies compelling because, let’s face it, when we’re younger we’re still developing our tastes and are less likely to be annoyed by some of the things I’ve listed off. To sum it up, if you’re wondering what Kirby Star Allies is like imagine a beat em up without the challenge and with computers helping you. I have to say it’s just not worth picking up. Kirby has plenty of good games but Star Allies isn’t one of them.